The length of the Sports structure Tents is unlimited with standard span includes 10m, 15m, 18m, 20m, 25m, 30m, 37m, and 40m. The maximum span is 60m and the largest edge height is 7m. The top height is 15 meters. 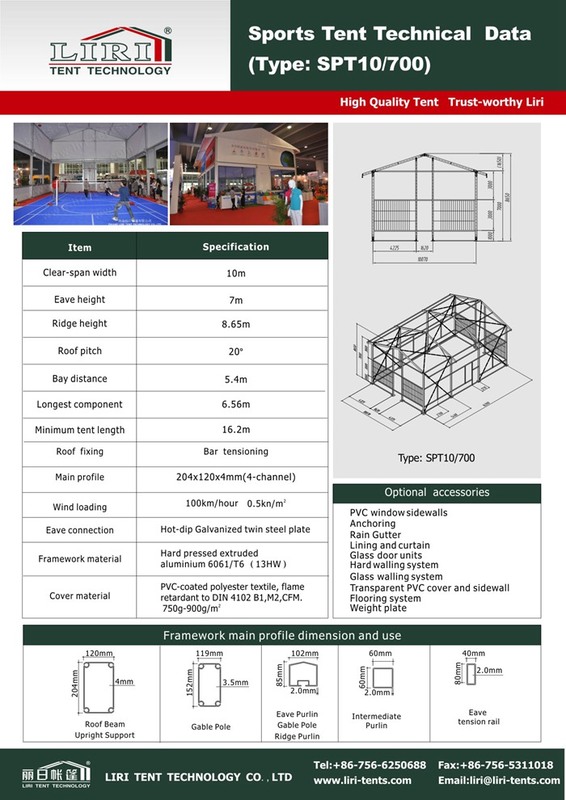 The standard spans can be divided into small, medium, and large multi-functional sports structures tents. 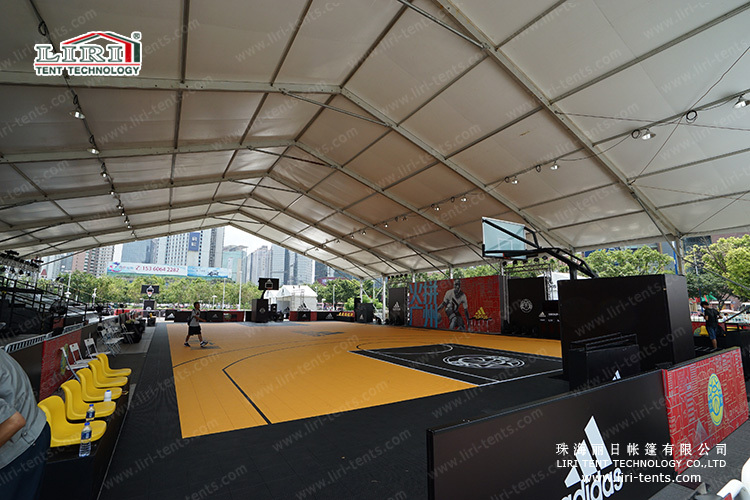 In addition to the standard size range, we can produce the pre-processing of multi-functional sports structure tent to meet site-specific requirements of the customer. The framework of the tent uses high-strength special aluminum alloy structure, it is strong and safe. The tent tarp is made out of imported double PVC synthetic fiber. Customers can choose the standard tension fabric of the monolayer roof and hot inflatable energy efficient roof. The tent structures venue has no required placement area. The product can be placed on any surface, generally the ground. These surfaces can include grass, sand, asphalt, cement, and marble. The weather-resistant tents have a capacity of 8 which is able to protect from fire, rain, and sunlight. The UV Protection function is at international standards.